March 22, 2018 - Daylight-powered microbe-killing masks and suits may someday help protect health workers from deadly germs like Ebola, according to new research. Scientists have developed membranes that produce a tiny bit of disinfecting hydrogen peroxide when exposed to light. They could find their way into food packaging as well, the researchers say, helping cut down on foodborne diseases. The research is published in the journal Science Advances. Nearly 500 health workers died during the 2014 Ebola outbreak in West Africa. Front-line caregivers wear full-body protective suits when they come into contact with patients with virulent diseases, but the process of removing the gear is a prime opportunity for infection if the surface is contaminated. "If there's any live bacteria or virus on the surface, it's still transmissible and could cause infection," said University of California, Davis, researcher Gang Sun. 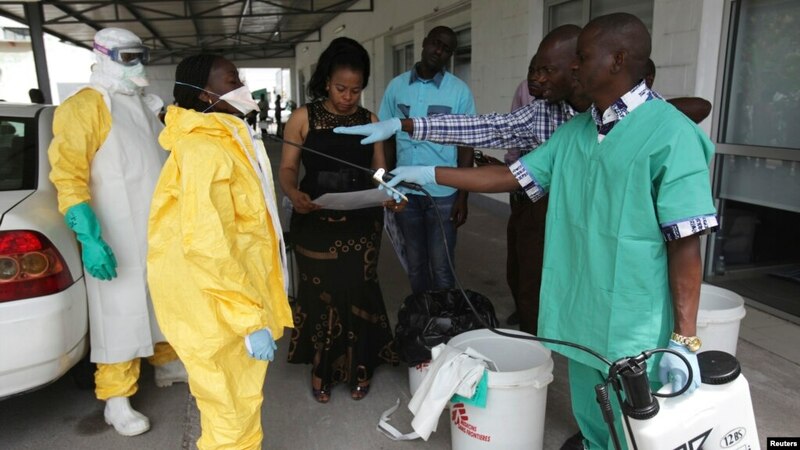 A health worker sprays a colleague with disinfectant during a training session for Congolese health workers to deal with Ebola virus in Kinshasa, Oct. 21, 2014. The process of removing the full-body protective suit is a prime opportunity for infection if the surface of the gear is contaminated. Sun and colleagues developed membranes that could line the outside of that protective gear. When exposed to daylight, molecules on the surface of these membranes react with oxygen in the air to produce small amounts of hydrogen peroxide — less than what you'd use to remove laundry stains, but enough to kill germs, according to Sun. "The approach is quite novel," said University of Maryland food scientist Rohan Tikekar, who was not involved with this research. He says others have developed materials that produce disinfecting chemicals, but most only work under high-energy ultraviolet light. The new membrane also works in the dark, for at least an hour or two, thanks to chemical properties that recharge its germ-killing powers. "That is a really significant improvement," Tikekar added. In addition to coating protective gear for health workers, Sun says adding a layer of this material to fresh-produce packaging could reduce contamination and prolong storage life. Some versions of the material use natural compounds. Sun says one of the next steps is to make it edible. 13 Sept.`18 - A new study suggests that ingesting even a single piece of plastic can be deadly for sea turtles. Researchers found there was a one in five chance of death for a turtle who consumed just one item - rising to 50% for 14 pieces. The team found that younger turtles are at a higher risk of dying from exposure to plastic than adults. The authors say their research raises concerns over the long term survival of some turtle species. The never ending surge of plastic into the world's oceans is taking an increasing toll on iconic marine species. While it has been relatively straightforward for researchers to document the threat to animals who become entangled in plastic and drown, determining the impact of consumed plastic is much harder. The authors of this study estimate that ]half of all the sea turtles on the planet have ingested plastic - this rises to 90% among juvenile green sea turtles off the coast of Brazil. To determine how this exposure was impacting the species, the researchers looked at post mortem reports and animal stranding records relating to sea turtles in Queensland. From that information they were able to deduce the role of plastic in causing death - if an animal had ingested more than 200 pieces of plastic, death was inevitable. Fourteen pieces meant a 50% chance of dying - while one piece gave a 22% chance of mortality. "Because of their digestive tract, they don't regurgitate anything," lead author Dr Britta Denise Hardesty from Australia's Commonwealth Scientific and Industrial Research Organisation (CSIRO), told BBC News. "If it ends up in the wrong place, even one little thin, filmy piece of plastic can block that canal and mean that nothing can pass and ultimately the blockage can result in death." As well as causing blockages, harder pieces caused internal injuries which often lead to death as well. 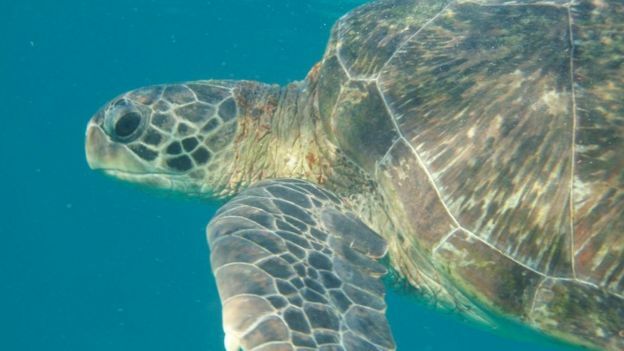 The research team also found that younger turtles were taking in far more plastic than adults. Around 23% of juveniles and 54% of post-hatchling turtles had ingested plastic compared to 16% of adults. The scientists say that this greater susceptibility is down to where they live and how they feed. "Young small turtles actually drift and float with the ocean currents as does much of the buoyant, small lightweight plastic," said Dr Hardesty. 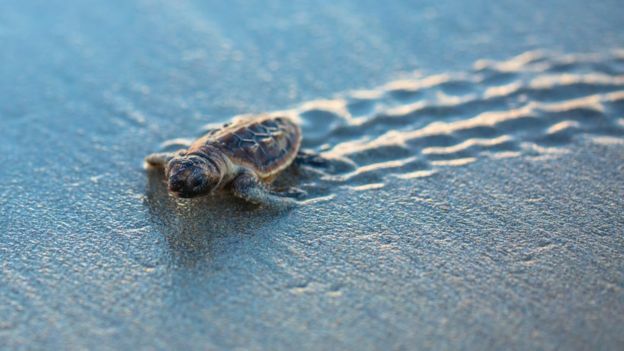 "We think that small turtles are less selective in what they eat than large adults who eat sea grass and crustaceans, the young turtles are out in the oceanic area offshore and the older animals are feeding in closer to shore." Plastic pollution is probably my biggest environmental passion/interest out there and here are just a few simple pictures that help tell the story. There are so many more pictures and points to be made but I just wanted to get this started first.